Using typographical compositions, I reinterpreted and redesigned a series of movie posters that focus on graphic elements rather than a purely photographic solution. I incorporated graphics that mimic silhouettes of symbolic objects of each movie. 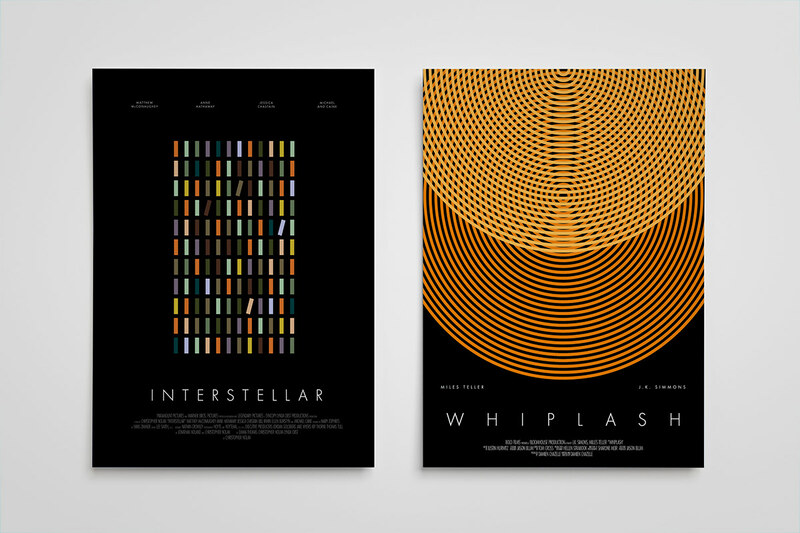 As shown below, I used simple geometric shapes to depict books for the movie "Interstellar" and cymbals for the movie "Whiplash." 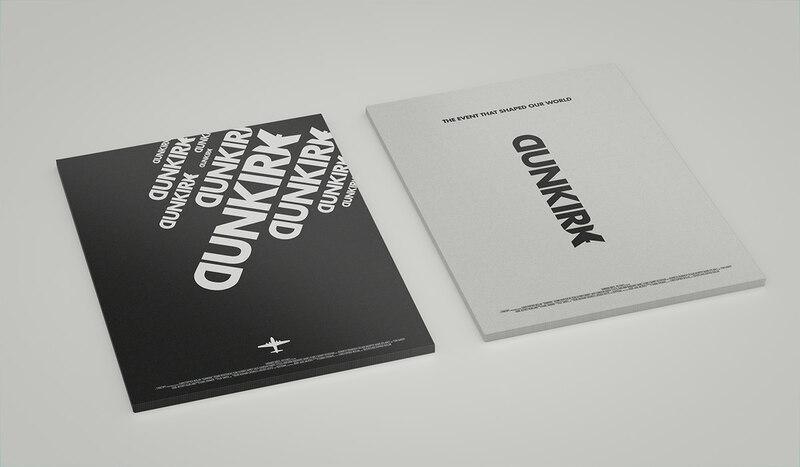 Using typographical analogies and word interpretations, I modified the type for "Dunkirk" into the shape of bombs to describe the Dunkirk Bombing from the movie.